Prison Break - Season 5. It has been revealed that Season 5 will take place right after Season 4 and just before the movie. Is Michael dead anyway??? What kind of crap is this???. HD Wallpaper and background images in the Prison Break Cast club tagged: photo prison break season 5. It has been revealed that Season 5 will take place right after Season 4 and just before the movie. 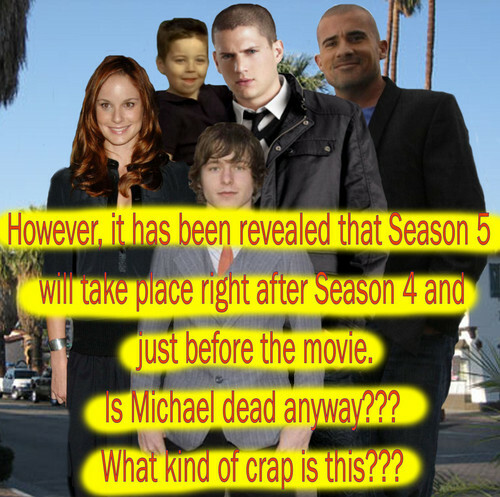 Is Michael dead anyway??? What kind of crap is this?? ?